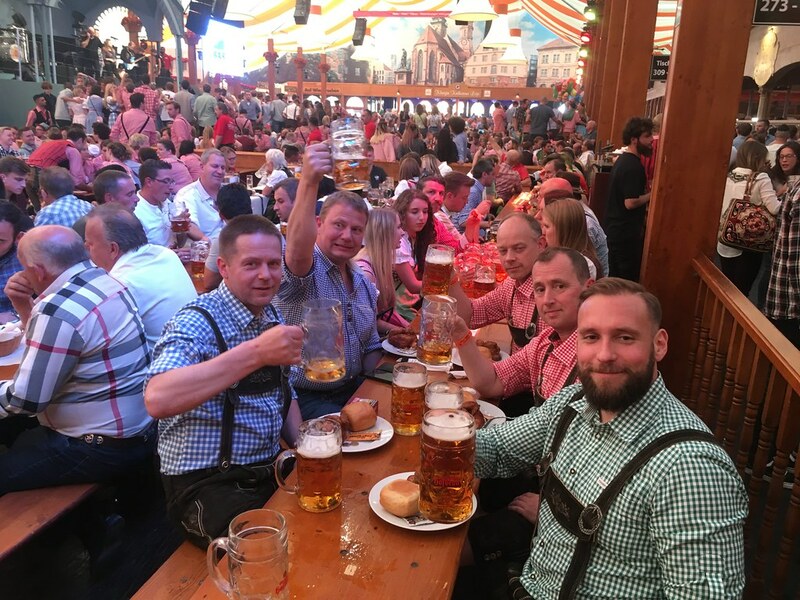 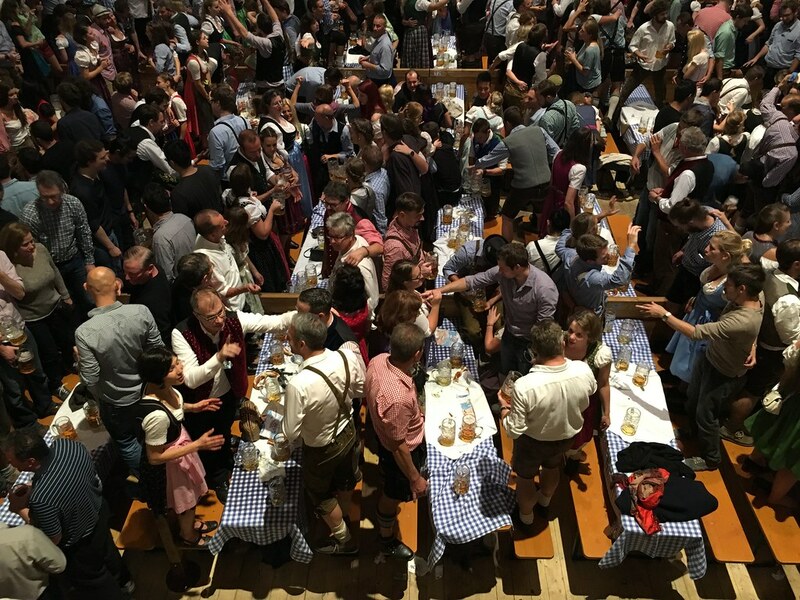 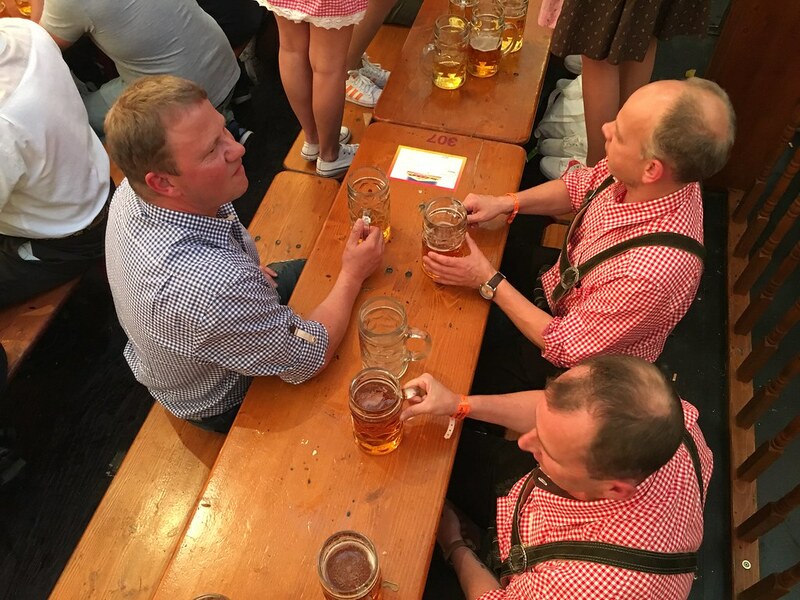 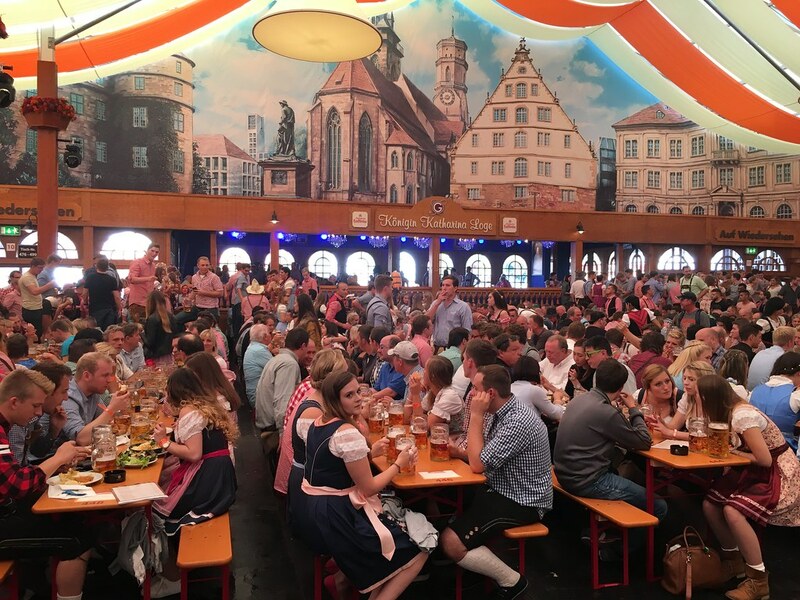 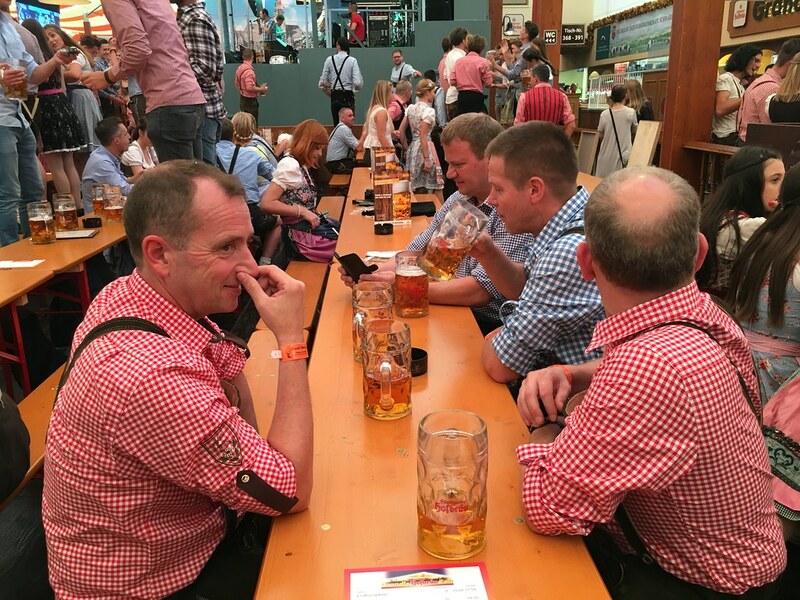 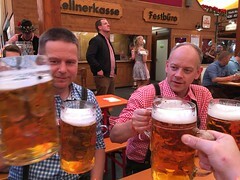 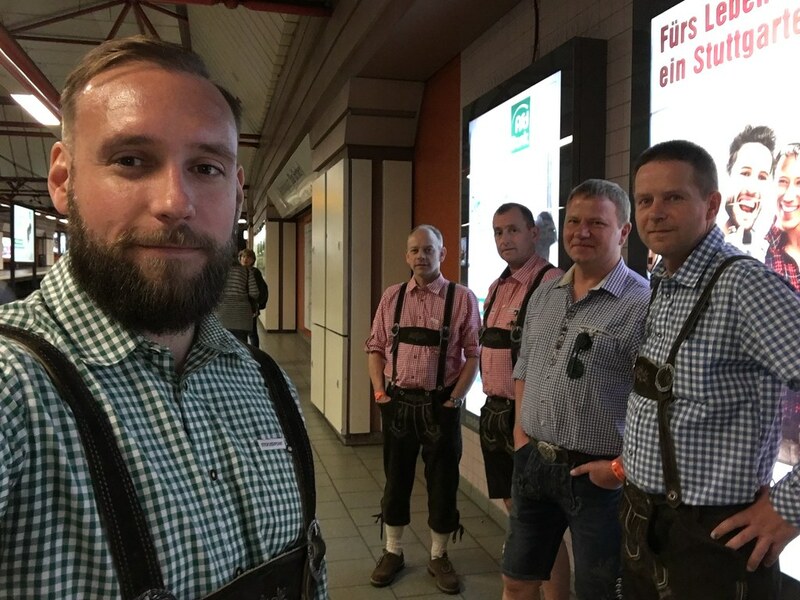 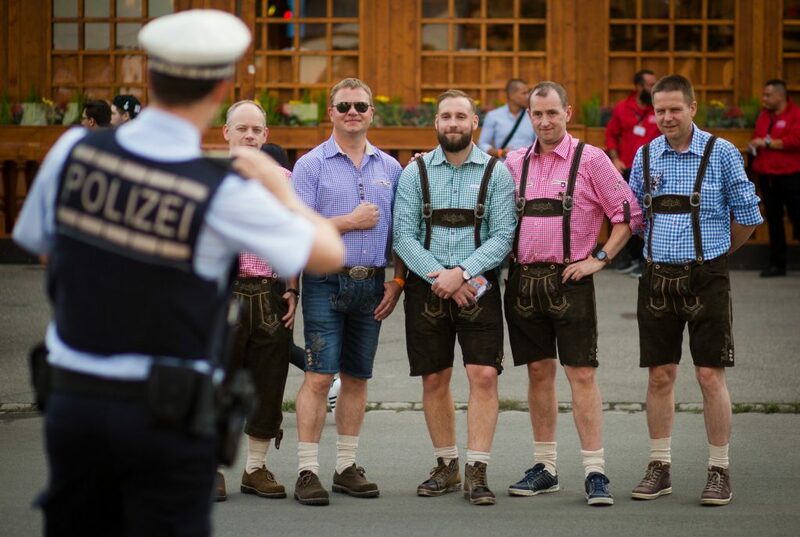 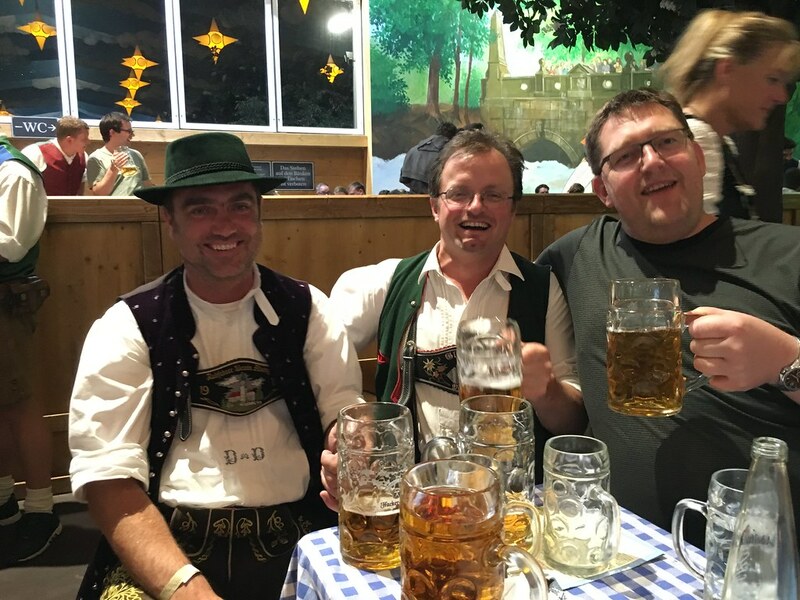 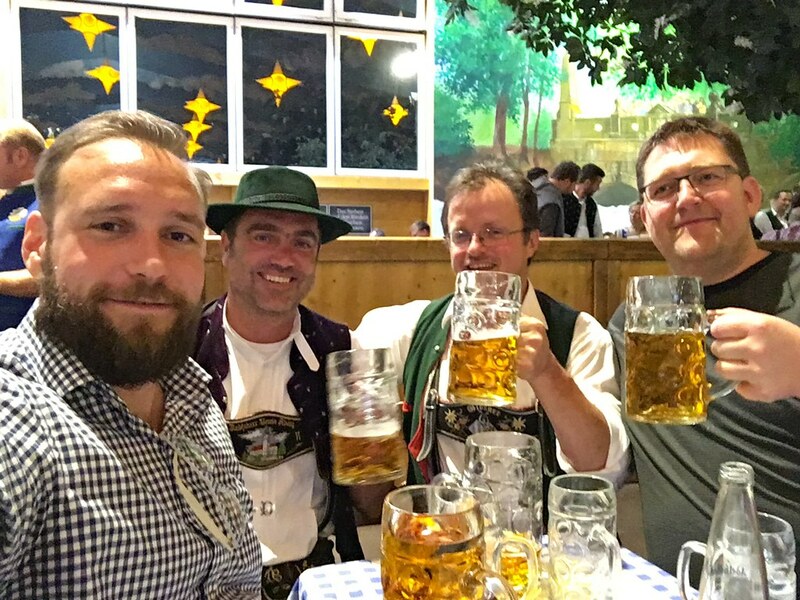 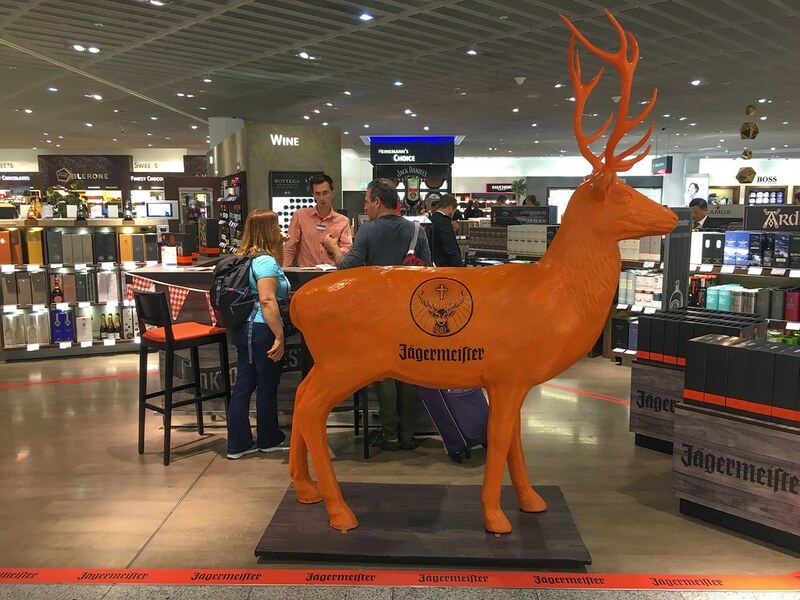 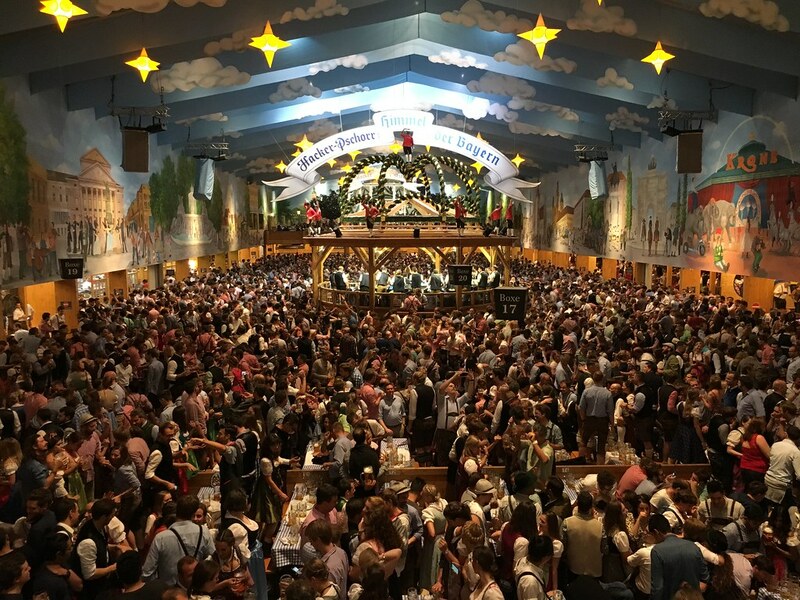 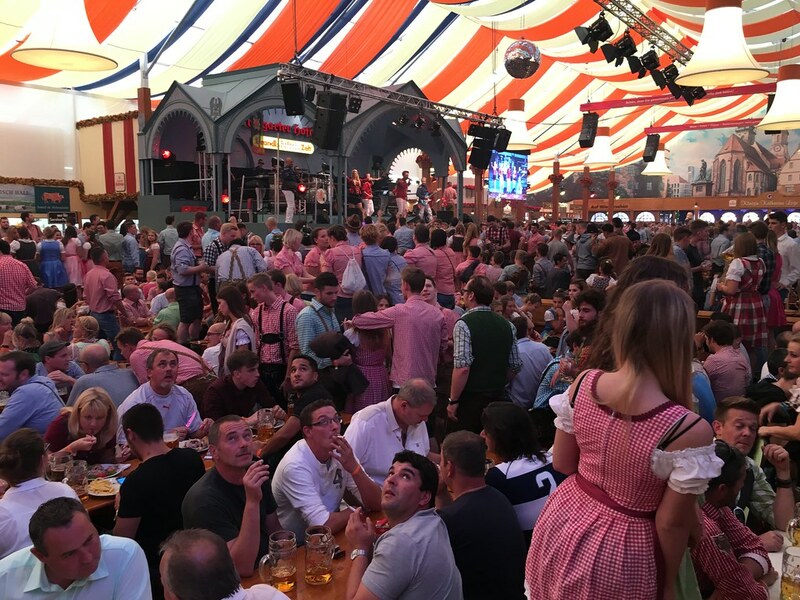 As previous years we have had a tradition going to Cannstatter Volksfest in Stuttgart and Oktoberfest in Munich. 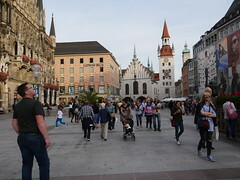 This year we were six people going down to Stuttgart and six people going to Munich, but we got cancellations the last minute to Munich, so we were only two persons for one day there, and only one guy by himself the rest of the period in Munich. The difference this year, was that we had allready booked tables in beertents for two night (friday/saturday). 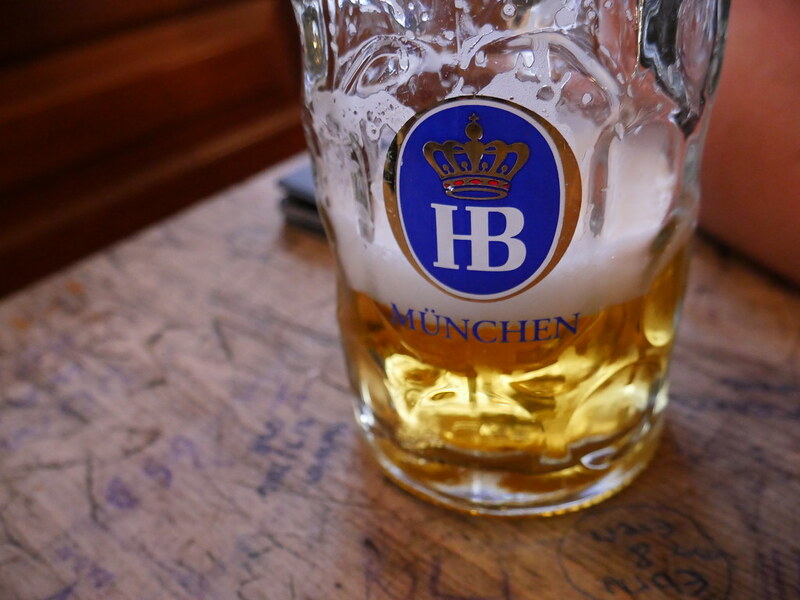 The good thing about booking tables is that you dont need to get there in the early morning just to get a table. 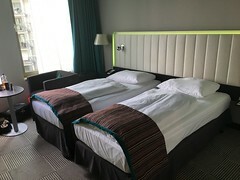 We had our booking from 5pm to 11pm, this made our morning better with more time for other things. 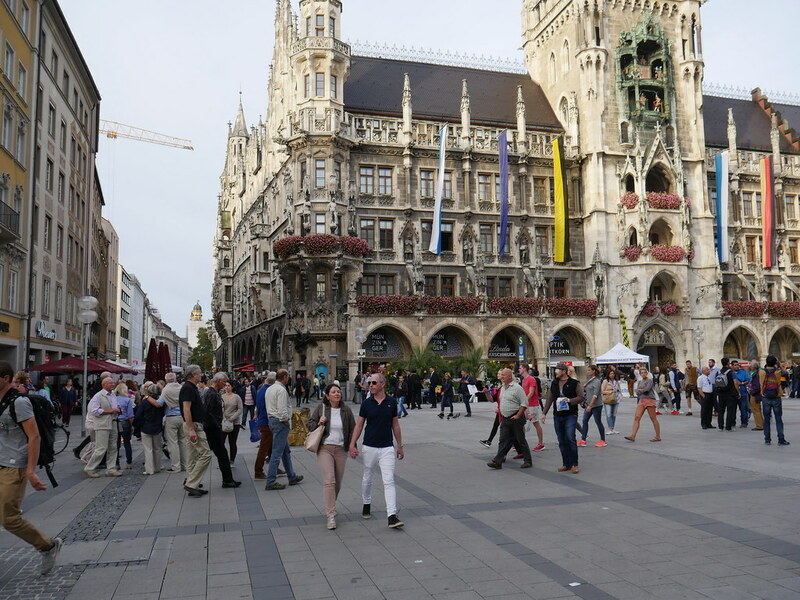 On our fourth day we went to the Porche Museum, as we have done before. But its that good. 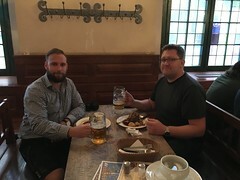 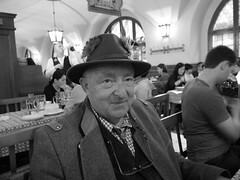 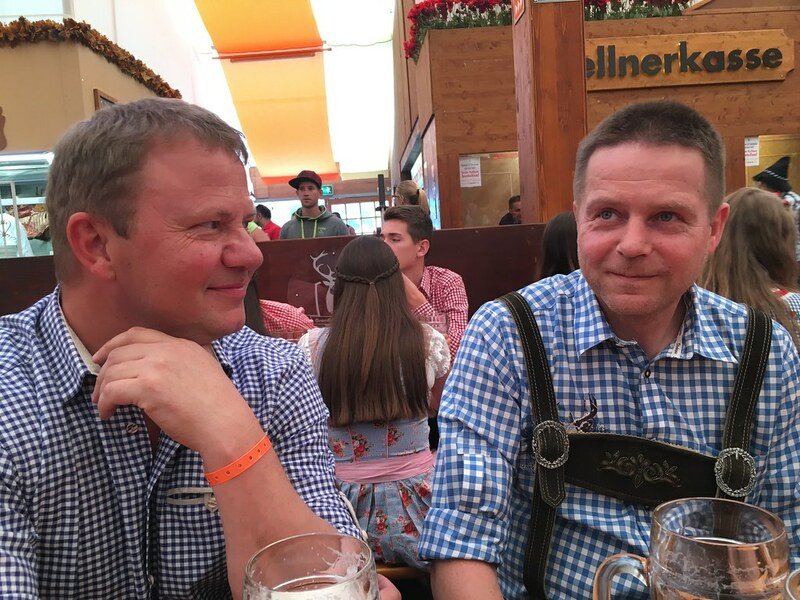 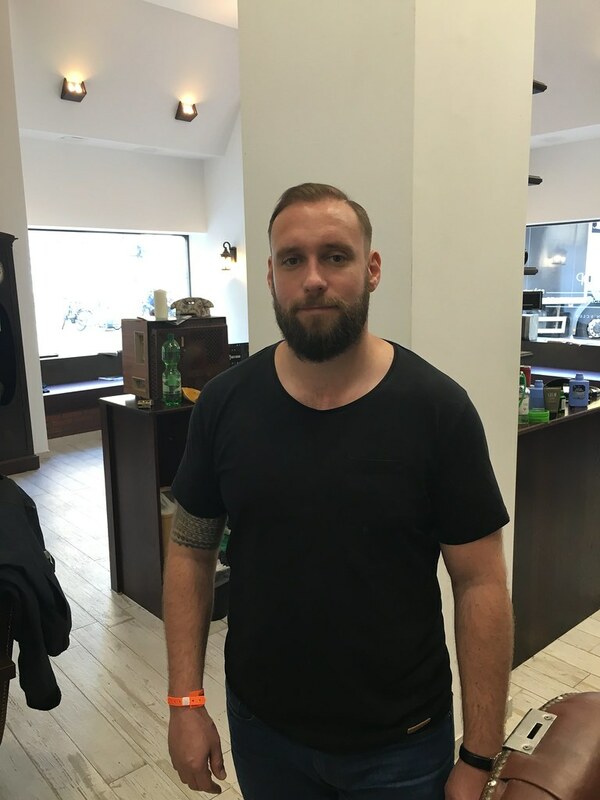 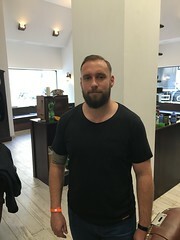 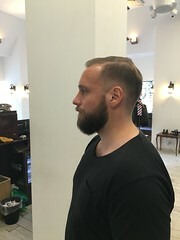 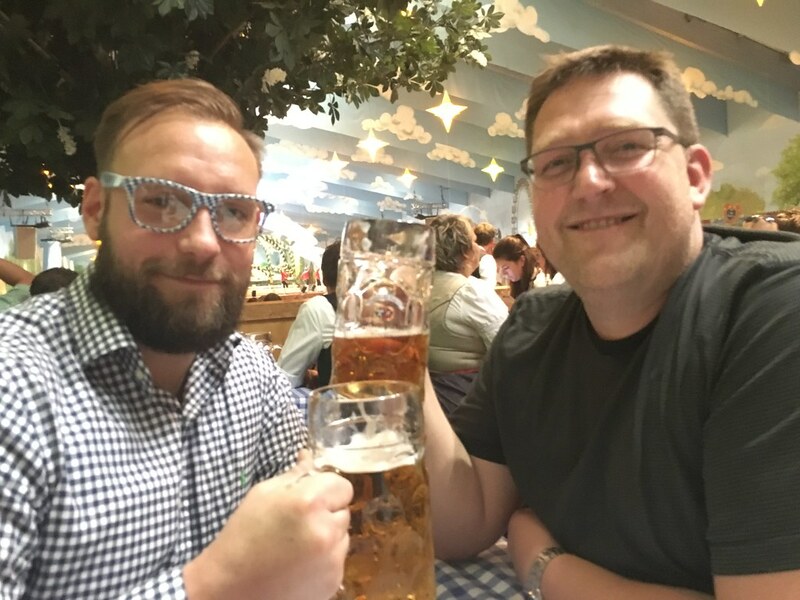 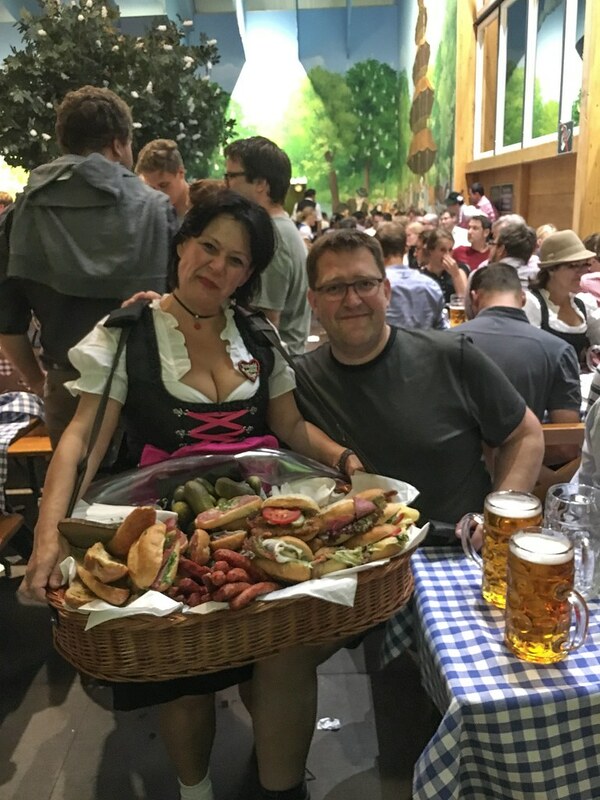 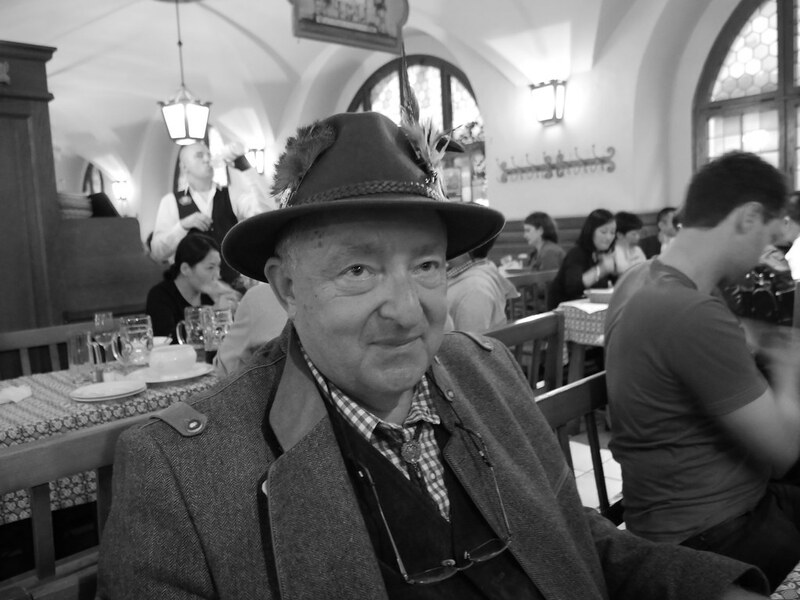 In Munich i met with Trond, he got there a few hours before me but when i got there we went out for some traditional food. 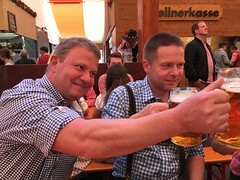 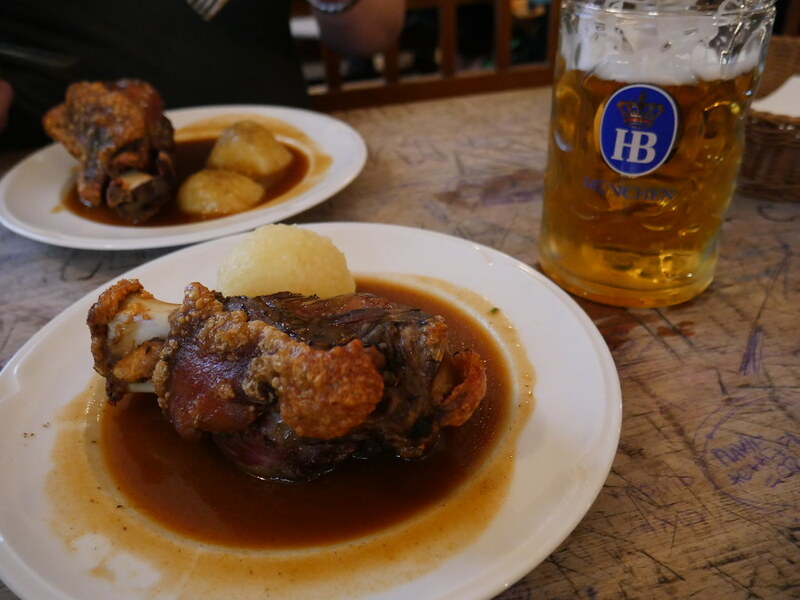 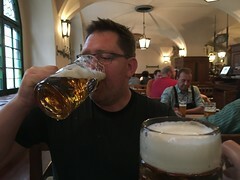 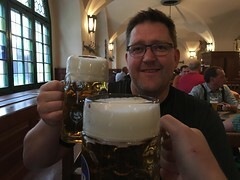 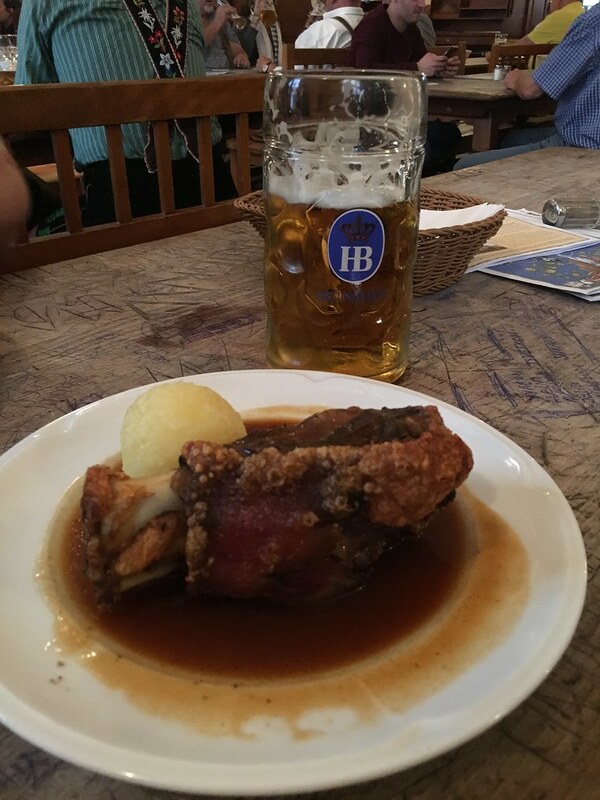 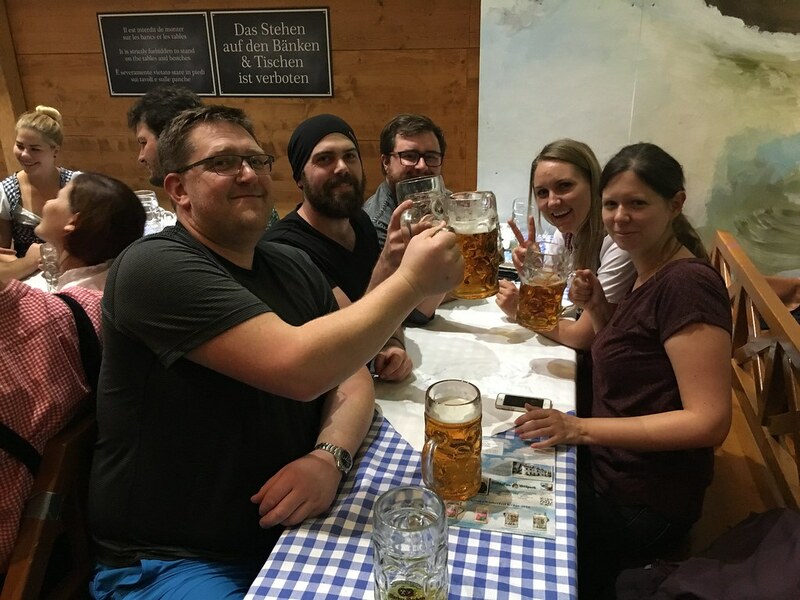 We went straight to Hofbrauhaus were we had hackse and some beers. 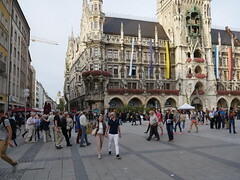 Later on we walked up to Theresienwiesse, were the Oktoberfest is going on. 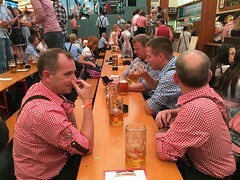 Here we got a table in the best beer tent (Hacker Pschorr). 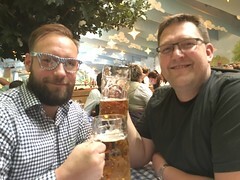 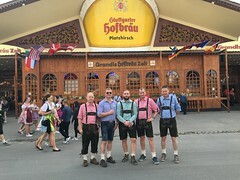 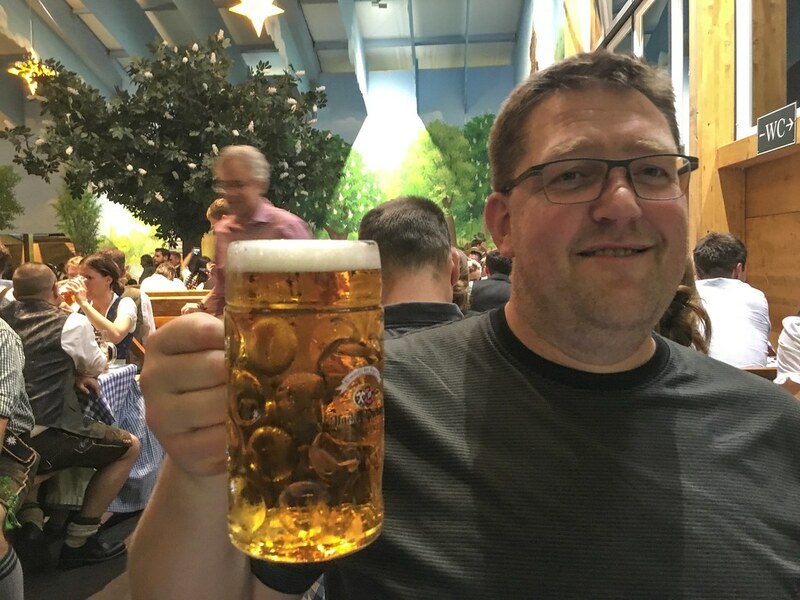 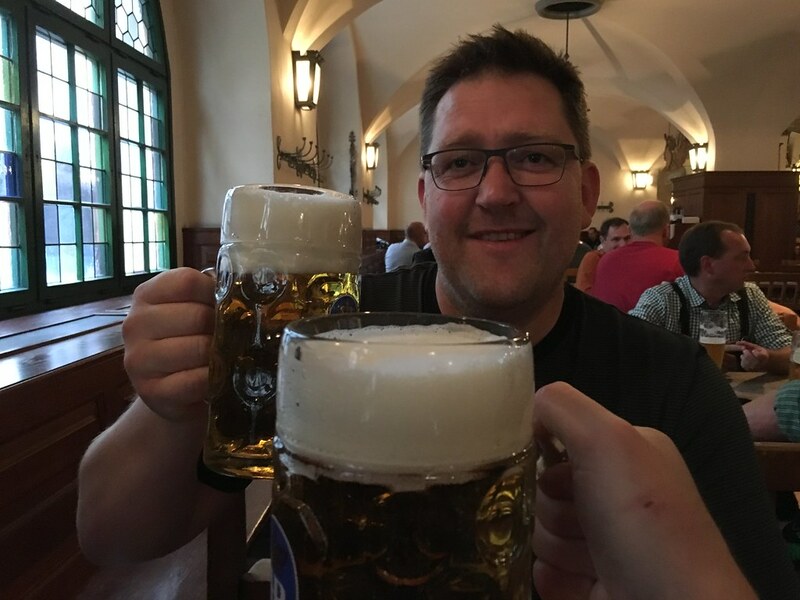 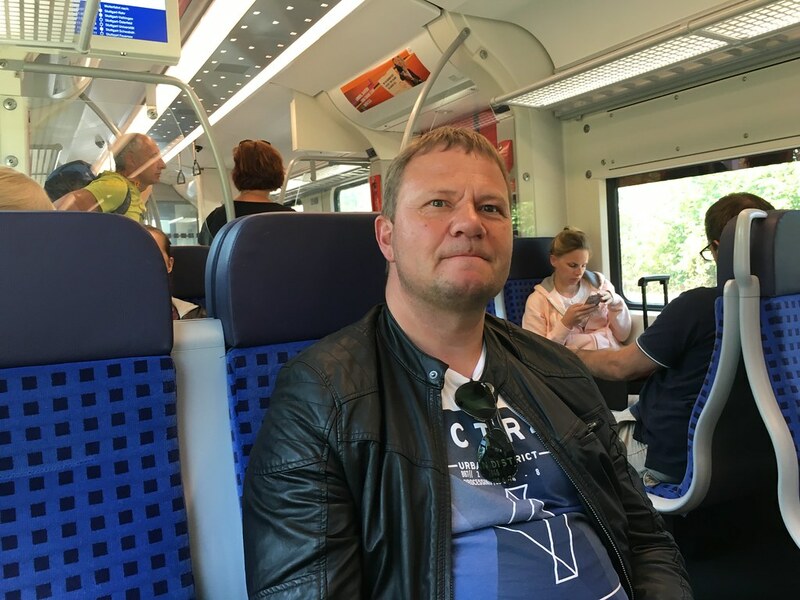 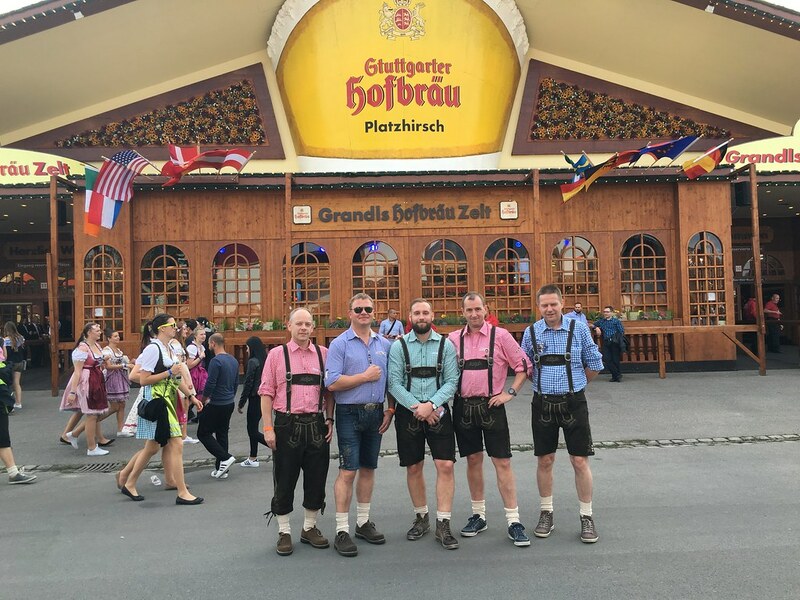 Trond's first visit to Munchen, Bavaria! 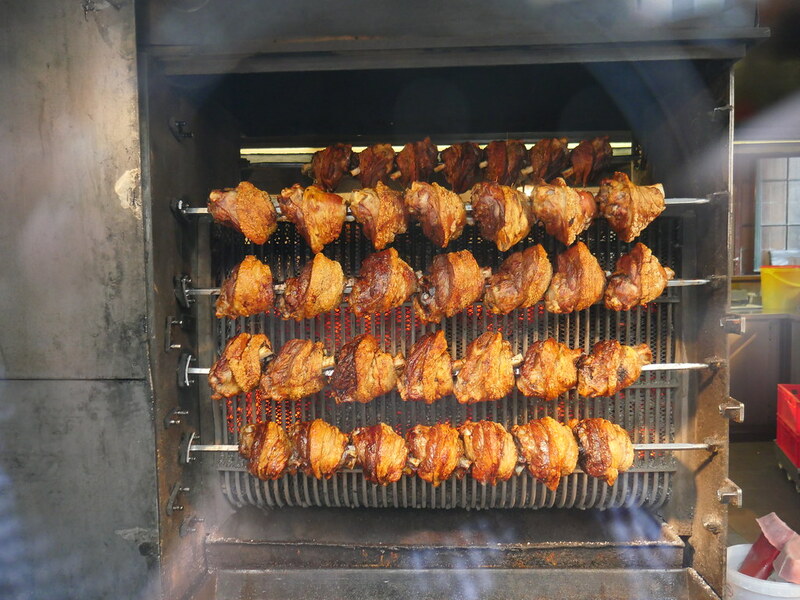 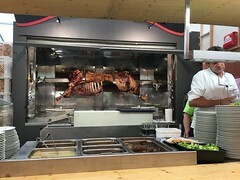 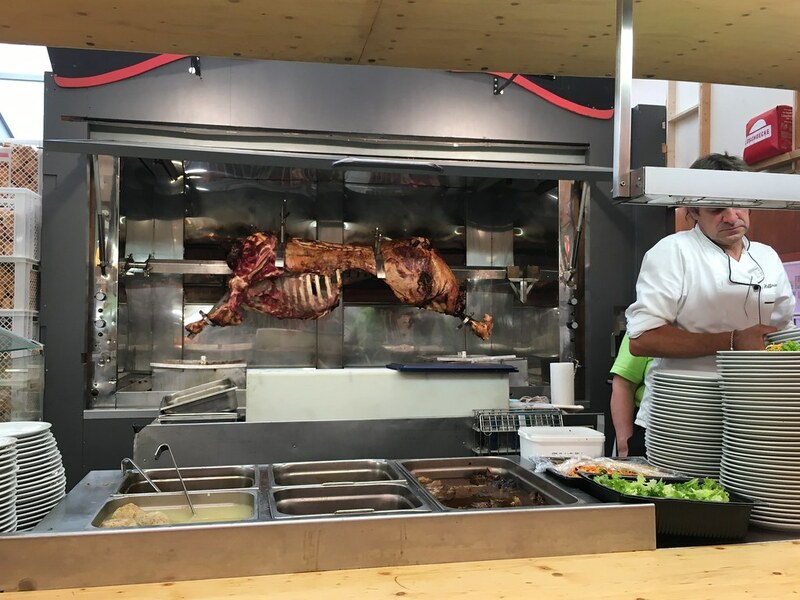 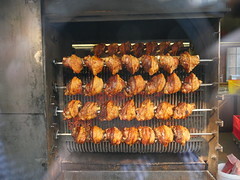 In the backstreets of Munchen, they had a hackse oven! Hofbrauhaus is queit an institution in Munchen! 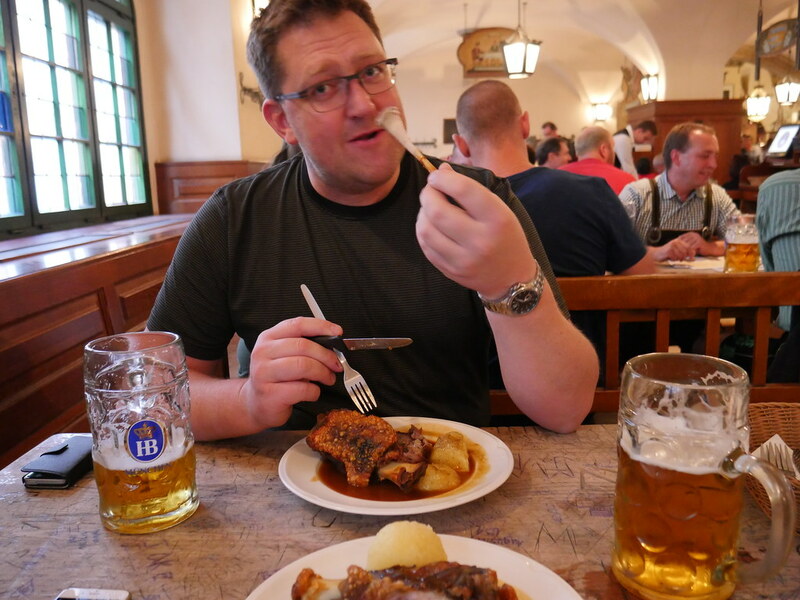 Trond having his first meal of Hackse! 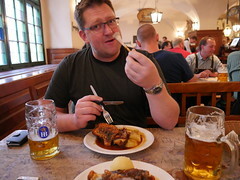 At Hofbrauhaus, Munchen i met this local guy. 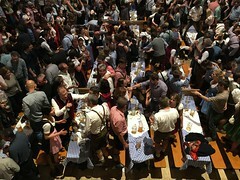 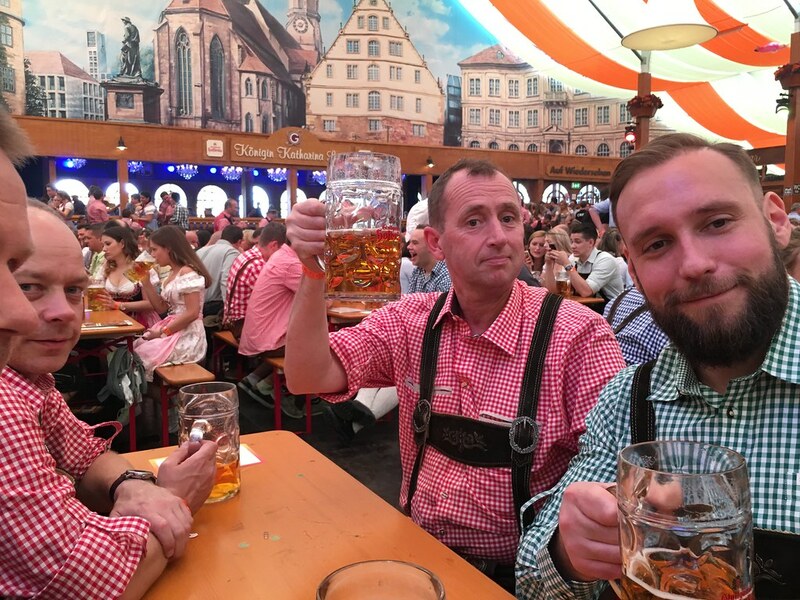 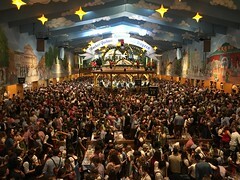 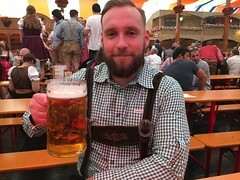 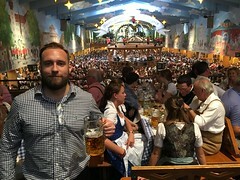 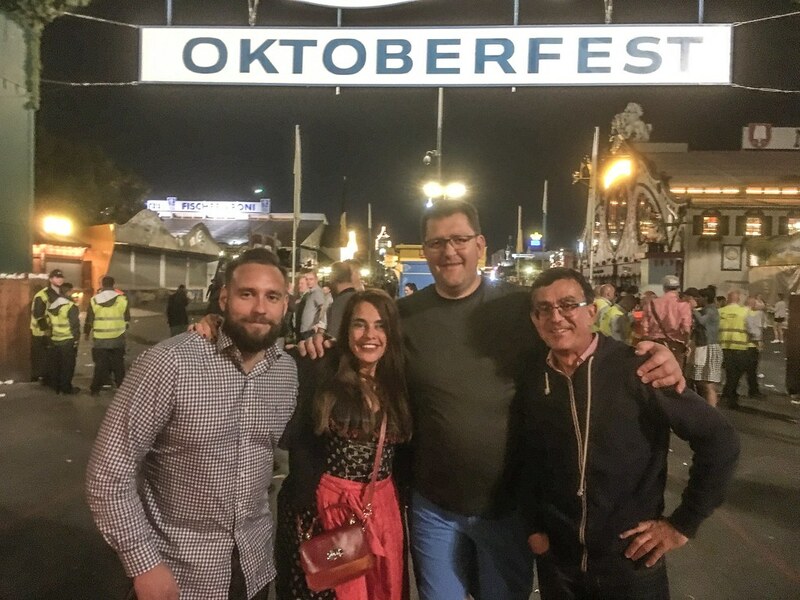 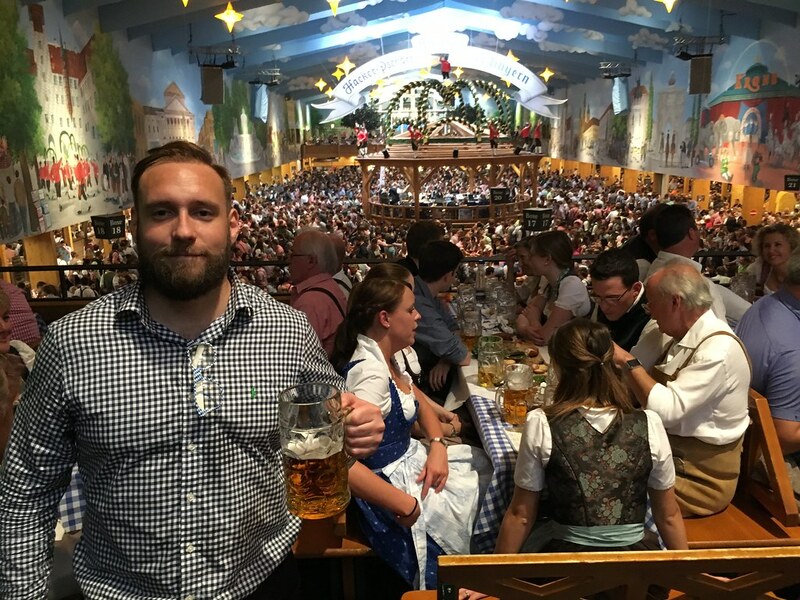 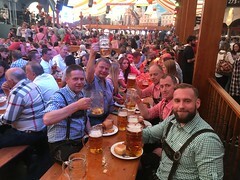 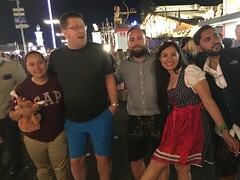 My 3rd time at the Oktoberfest, Munich! 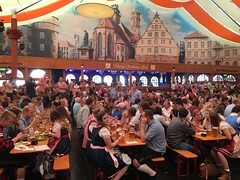 Worlds best beer tent, Munich! 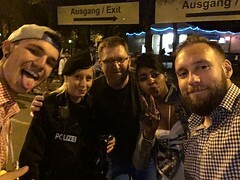 In Ludwigsvorstadt, Munchen were we met the Polizei and a few others! If you do get hungry, while drinking beer its just to call this women! 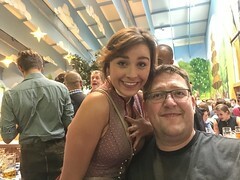 Trond was a populare guy at the beer tent, this girl wanted a selfie! 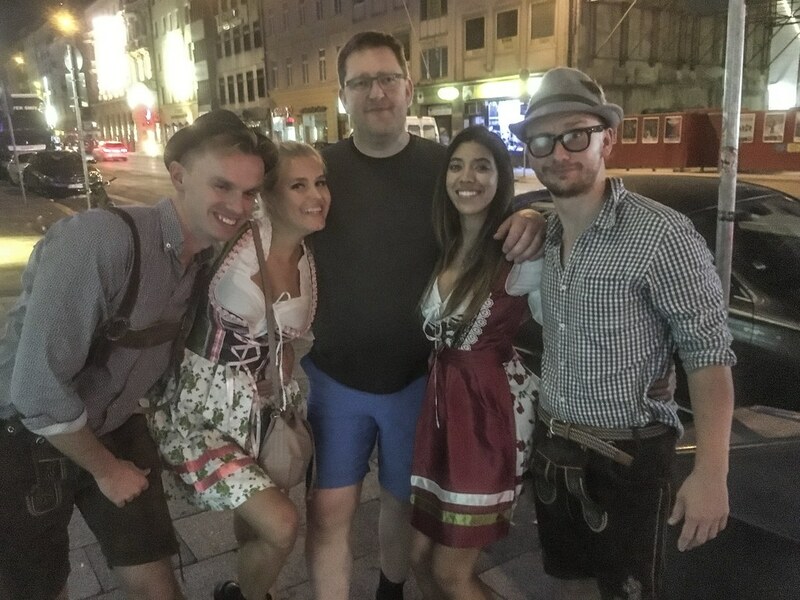 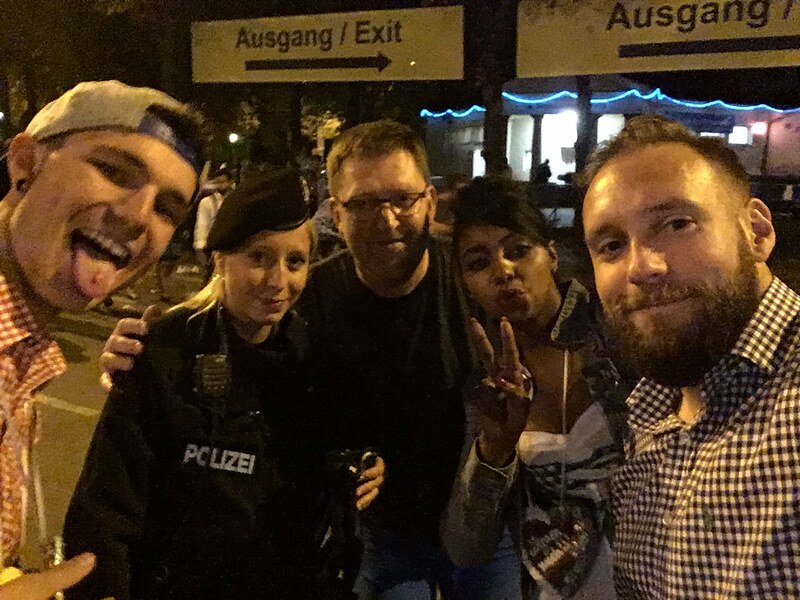 We met a few German's that was fun to drink with! 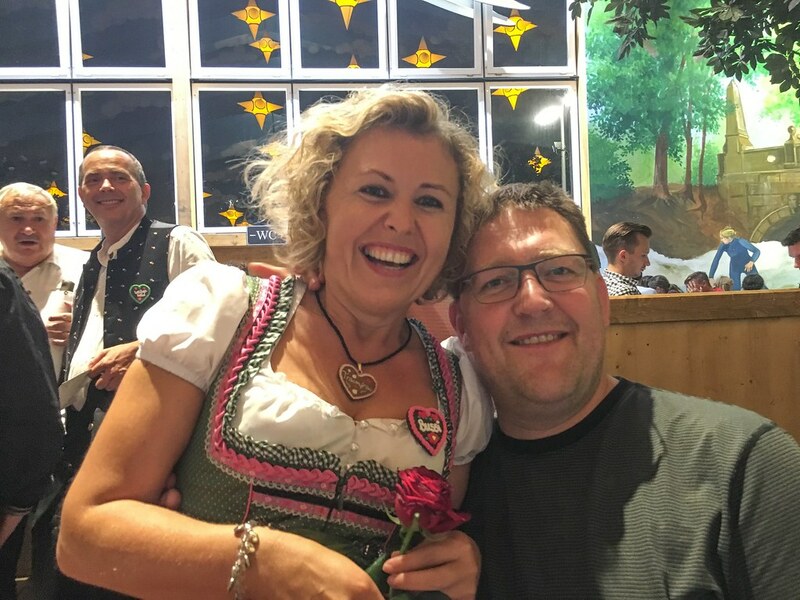 Helga und Trond, Hacker Pschorr zelt, Munich! 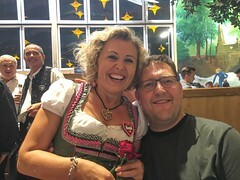 A polish couple, Trond and a couple from New York! 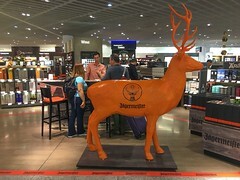 Kjell awaits the arrival to Stuttgart! 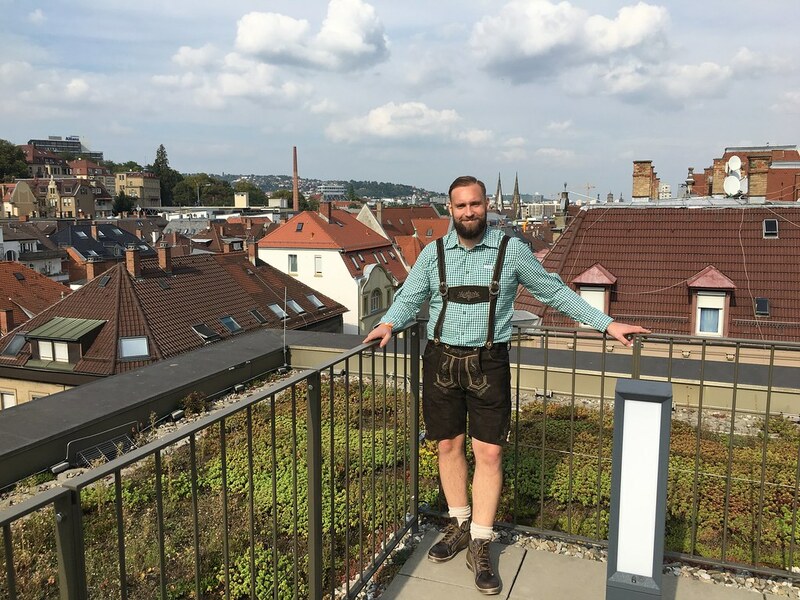 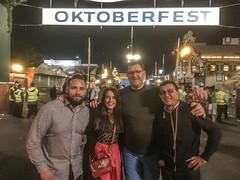 In Stuttgart for my 6th Oktoberfest festival! 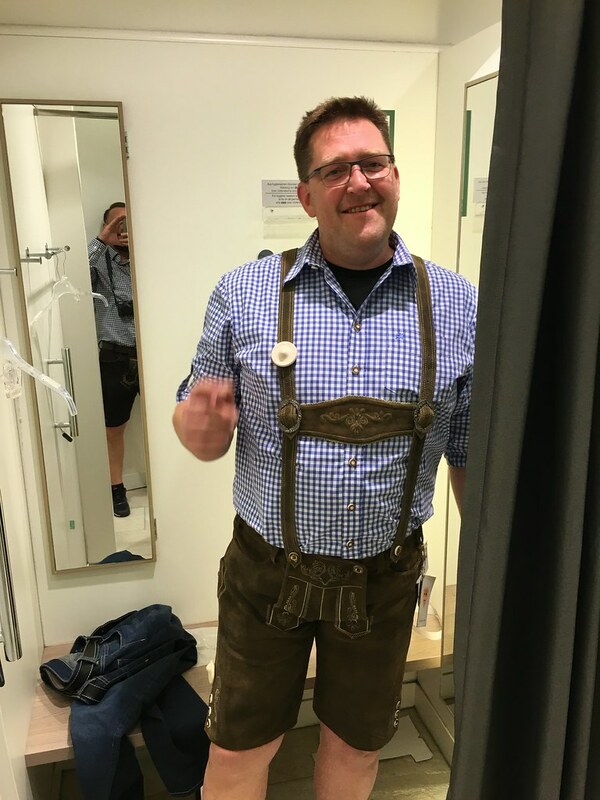 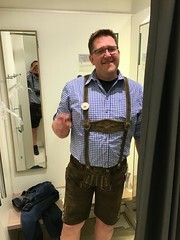 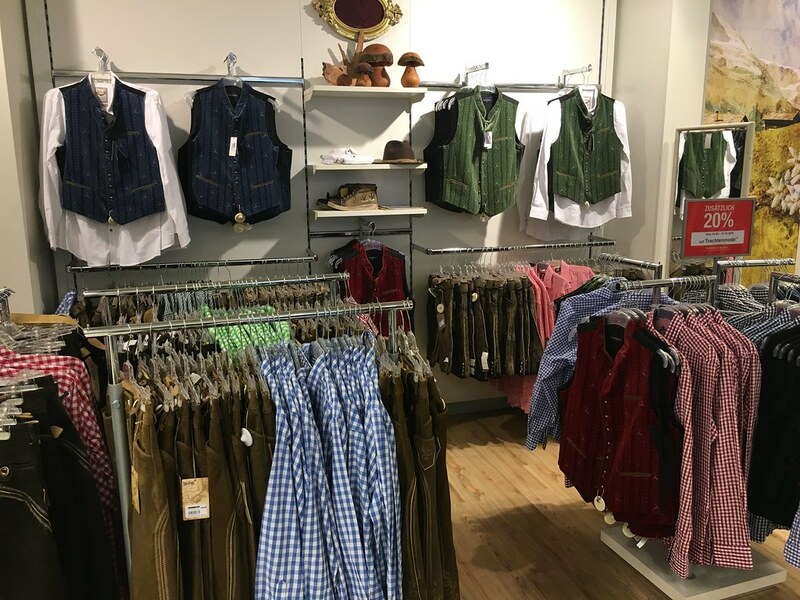 If you need outfits for Oktoberfest, Galeria Kaufhof is the place! 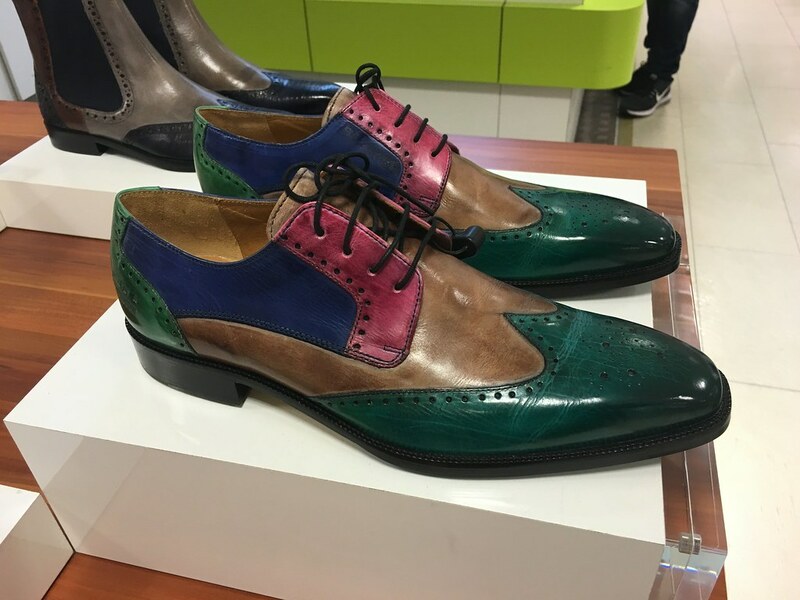 At Galeria Kaufhof looking at shoes! Our room at Park Inn by Radisson, Stuttgart! Rooftop patio at Park Inn by Radisson, Stuttgart! 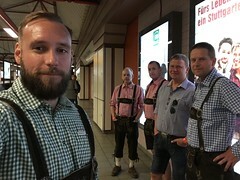 Stuttgart - Mitte, waiting for the ubahn! 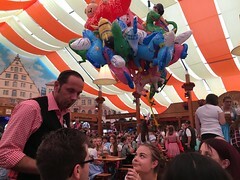 You can even buy balloons! 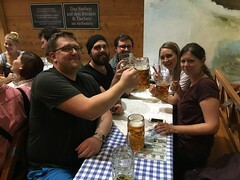 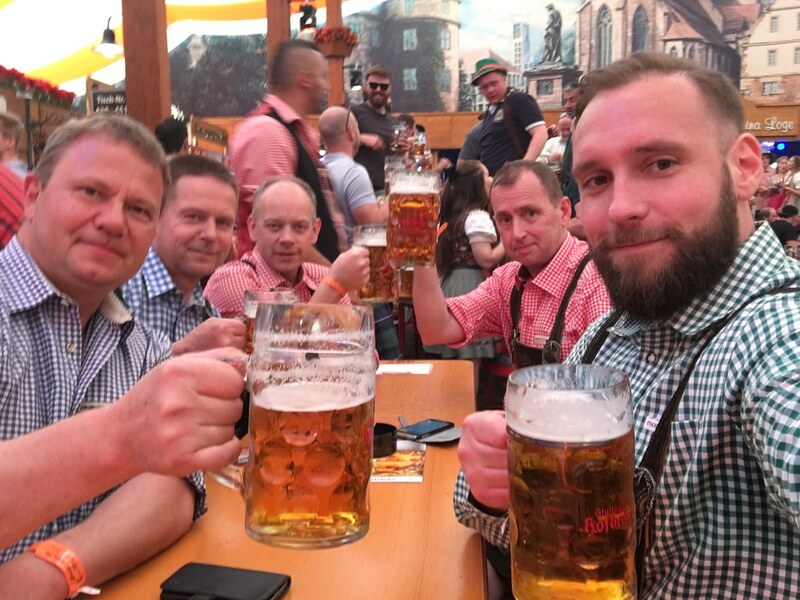 Team Kakk and their beers!